In this second of two volumes on the Gospel According to Luke, beginning with chapter 10, Joseph A. Fitzmyer builds on the exhaustive introduction, definitive new translation, and extensive notes and commentary presented in his first volume. Fitzmyer brings to the task his mastery of ancient and modern languages, his encyclopedic knowledge of the sources, and his intimate acquaintance with the questions and issues raised by the third Synoptic Gospel. In “joining the spirit to the letter” and scholarship to faith, this two-volume commentary on Luke has, as the Journal of Biblical Literature predicted, “rapidly and deservedly become the standard work on Luke.” Luke’s unique literary and linguistic features, its relation to the other Gospels and the book of Acts, and its distinctive theological slant are discussed in detail by the author. The Jesus of Luke’s Gospel speaks to the Greco-Roman world of first-century Christians, giving the followers of Jesus a reason for remaining faithful. 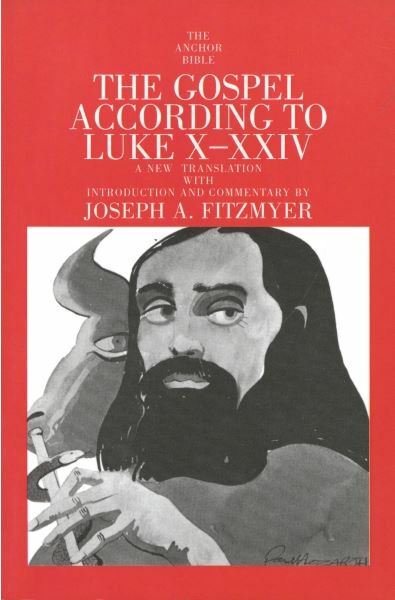 Fitzmyer’s exposition of Luke helps modern-day Christians hear the Good News afresh and understand it like never before. Joseph A. Fitzmyer is a Jesuit priest and professor emeritus at the Catholic University of America. A past president of both the Society of Biblical Literature and the Catholic Biblical Association, and coeditor of The New Jerome Biblical Commentary, Father Fitzmyer has written the Anchor Bible commentary on Romans and Acts of the Apostles, as well as books and numerous articles on the Dead Sea Scrolls and Qumran.